Rain, rain, RAINNNNN. Most of the schedule did get finished on day 1 of the Rogers Cup in Montreal but it was one of those frustrating stop-start days. Gavrilova was the first winner of the day, beating Annika Beck, 6-4 6-3 for her first win since Wimbledon. With a more potent serve & sharper forehand angles, Gavrilova beats Beck, 64 63 in Montréal. And just beating the rain, there was a slight upset as Madison Brengle ousted Ekaterina Makarova, 6-4 1-6 6-4. It was Brengle’s third consecutive victory over Makarova, who lost her way during large chunks of this match. The Russian player botched an overhead down set point in the first set and then blew a 4-2 lead in the third set. As Brengle served for the match in the third set, the pair played a heavily drawn out point with Brengle up *5-4 *30-15… Makarova eventually went wide and was visibly sobbing at the end of it. A return into the net and Brengle sealed her place in the second round. The rain came down just as Brengle and Makarova were shaking hands, resulting in the longest delay of the day. On resumption, the first match on Central concluded with Barbora Strycova winning the last three games to secure her fifth consecutive win over Caroline Garcia, 2-6 6-3 6-3. The seeds went three out of three on Monday… former Montreal champion and number 12 seed, Petra Kvitova made a very convincing start with a 6-1 6-2 victory over Magda Linette. 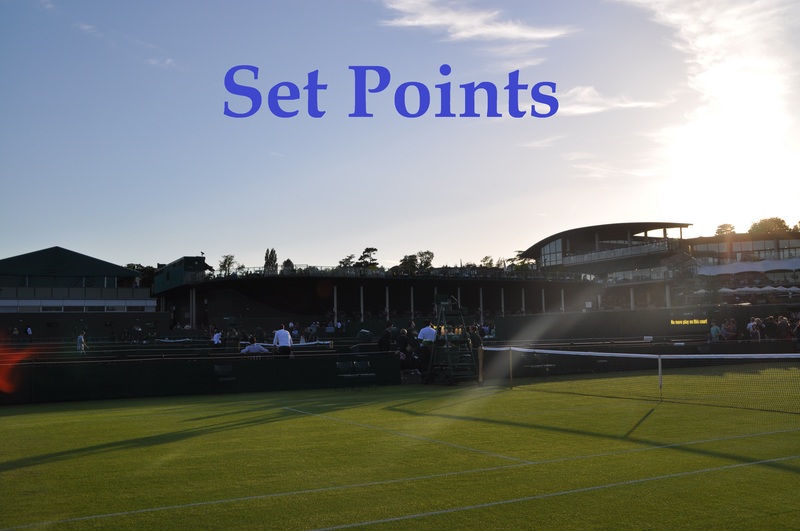 There were also wins for the number 13 seed, Sam Stosur (d. Heather Watson, 7-5 6-3) and the number 17 seed, Elina Svitolina (d. Jennifer Brady, 6-2 6-4). Two other results that caught my eye… Camila Giorgi continued her recent mini-revival with a 7-6(2) 7-6(4) victory over Sloane Stephens. Naomi Broady came from a set down to defeat Monica Puig, 3-6 6-4 6-2. Puig had won their last encounter in Eastbourne just last month for the loss of two games. Giorgi hits 15 DFs but keeps her g'strokes under control. Stephens' movement & timing disintegrate after the MTO. Camila wins, 76(2) 76(4). The top players did their pre-tournament press in Montreal on Sunday… Roberta’s smile gives me life. Here’s Eugenie Bouchard sounding pretty positive in press. Returning to last week for a moment, Johanna Konta won her first WTA title at the Bank of the West Classic in Stanford as she overcame a second set wobble to close out Venus Williams, 7-5 5-7 6-2. Congrats to Jo, her rise up the rankings has been pretty extraordinary! Yanina Wickmayer won her fifth WTA title, defeating Lauren Davis, 6-4 6-2 in the final of Washington. And finally, well worth a look is a book by former ATP world number nine, Bill Scanlon called “Zen Tennis – Playing in the zone”. You can find out more on the book, which focuses on the mental side of tennis, by clicking on the link in the tweet below. July 26, 2016 in Montreal, Set Points, WTA.